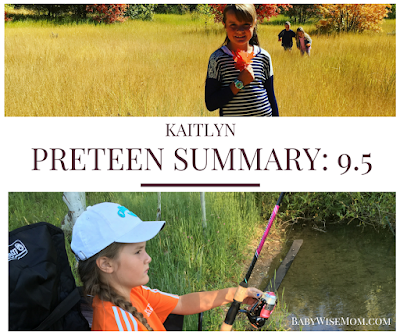 This is a summary for Kaitlyn from 9.25 to 9.5 years old. Eating is good. 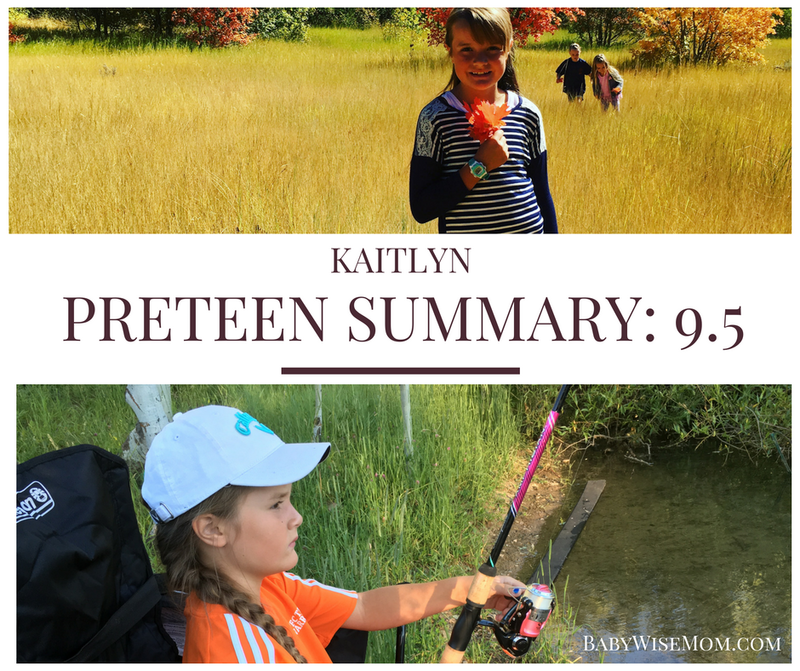 Kaitlyn has always had texture issues and certain aversions to foods that stem back to her reflux days. She is good about trying new foods, and though she isn’t always thrilled about it, she eats her fruits and veggies well. Sleeping is good. Kaitlyn is such a deep sleeper that she can be hard to wake in the morning. I assumed this day would come. I figured that really good sleeper as a baby would equate to very deep sleeper as a preteen and teenager. I was correct! She can be very hard to get out of bed in the morning. That becomes an issue when I spend 20 minutes by her bed in the morning trying to gently get her out of bed. My husband just goes in and removes her from bed and puts her on the floor. That wakes her up rather quickly. I don’t quite have that strength, and most mornings as of the last month, my husband is long gone for work by the time I am getting my kids up in the morning. So I came up with a plan. I told Kaitlyn (and McKenna because she is just as bad) that if she wasn’t up and dressed in five minutes (or up and in the shower if it is a shower day), she would owe me three additional chores after school. Well that worked! It worked great! And one day, they even owed me chores after school. I have expanded it to some days I tell them if they aren’t up in 5 minutes, they will need to go run a mile (they can do it; we trained for the last six weeks to run a mile a day five days a week. They are excited to be done with that and don’t want to do it anymore). That works even better than the extra chores. This time period was basically exactly half summer and half school year. The full thing included soccer. There was summer soccer tournament, where her team took second. There was also the Fall soccer season, where her team took second overall. 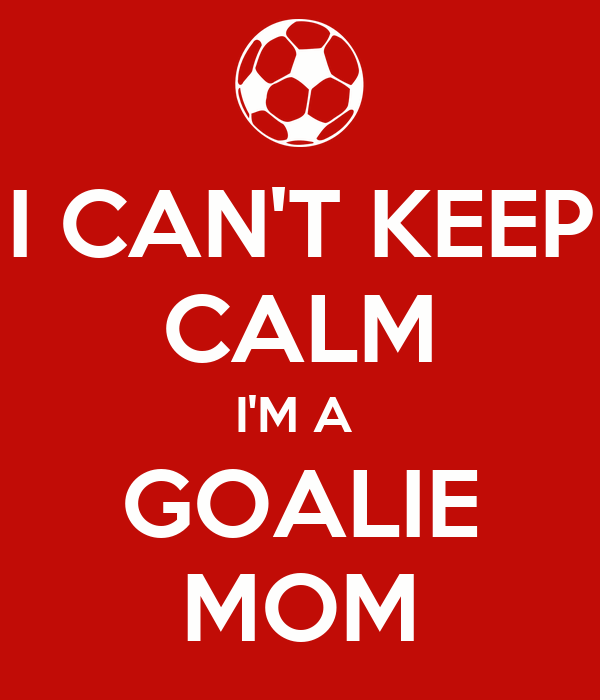 Kaitlyn about gave me a heart attack one day when she volunteered to play goalie. But in true Kaitlyn fashion, she took it very seriously. She recruited a friend at school who is a very good soccer player and goalie for his team to coach her at recess. She practiced like crazy. She had killer instincts. She is also very good at reading people–gifted really–and quickly recognized tells among the girls on the other team and knew how to take on each girl. She was only scored on one time all season (she was very, very upset by that one goal, but that is so life as a goalie!). Kaitlyn started up piano during this time. That is going well. 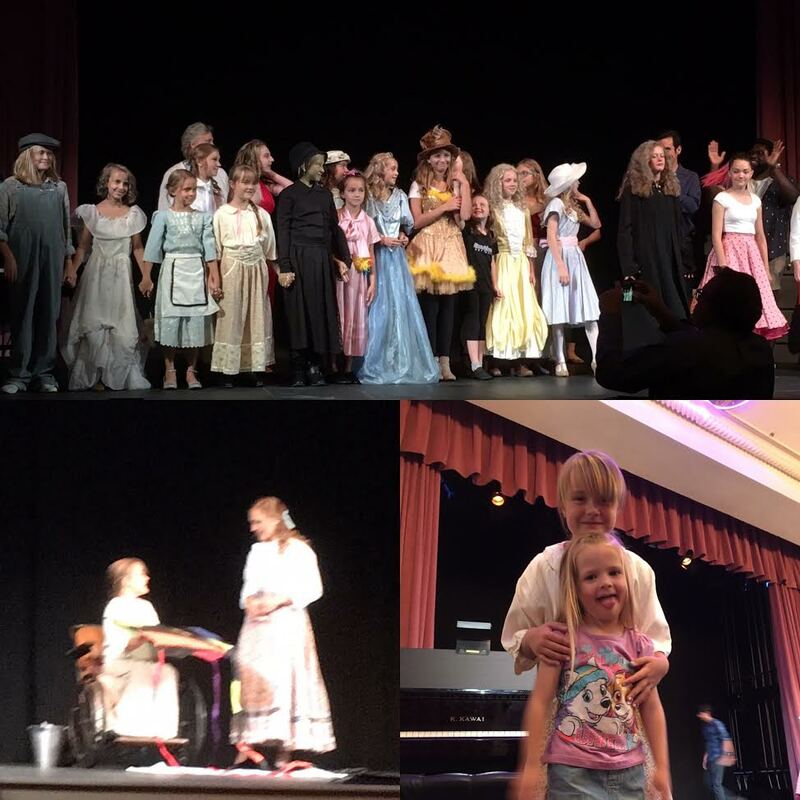 Kaitlyn did her summer camp during this time, which was a theater camp. It was a week long. She did so very well! She is a great little actress. She was assigned a scene from Little Women where she played Beth telling Jo to let her die. She was not thrilled with it because she likes to play the comedian, not make people cry. It was a great challenge for her, though, and she totally rocked it! When they performed their scenes on the last day, she had the audience in tears. We had swimming in there. We did swimming every week in the summer, then every other once school started until October hit. In October, high school teams start practicing and it gets harder to fit in the pool. Again, she has passed everything off for swimming, so at lessons, she gets worked out as though she was at a swim team practice. We keep this up so that her skills stay up. You never know if she will decide someday she wants to be a swimmer. Plus, I want her to maintain her ability and confidence as a swimmer. That is it. For the first time since she was 3, Kaitlyn isn’t taking dance. Kaitlyn has no interest in being a dancer, and she wanted to stop taking dance. The only tricky thing is that musical theater involves dancing, so we might throw in some classes here and there in that. Each fall, our school does a mile run. Kaitlyn doesn’t love to run, but she trained well for the event. In the end, she was the fourth place girl in her grade and finished with a time of 7:18. Pretty amazing! School has been great so far! Any of our fourth grade teachers would have been amazing, so she couldn’t have gone wrong there. In all of her years in school, she has had the same teacher Brayden had. For the first time, she had a different teacher than Brayden this year. It is interesting how it worked out because the fourth grade teacher Brayden had was the perfect one for him and she remains one of his very favorites ever to this day. The one Kaitlyn got is the best one for her. Any one would have been fantastic, but this one is the perfect fit. I always love seeing these little blessings in life. This section contains affiliate links. Kaitlyn is loving the Percy Jackson series right now. She is also really liking the Warriors series.